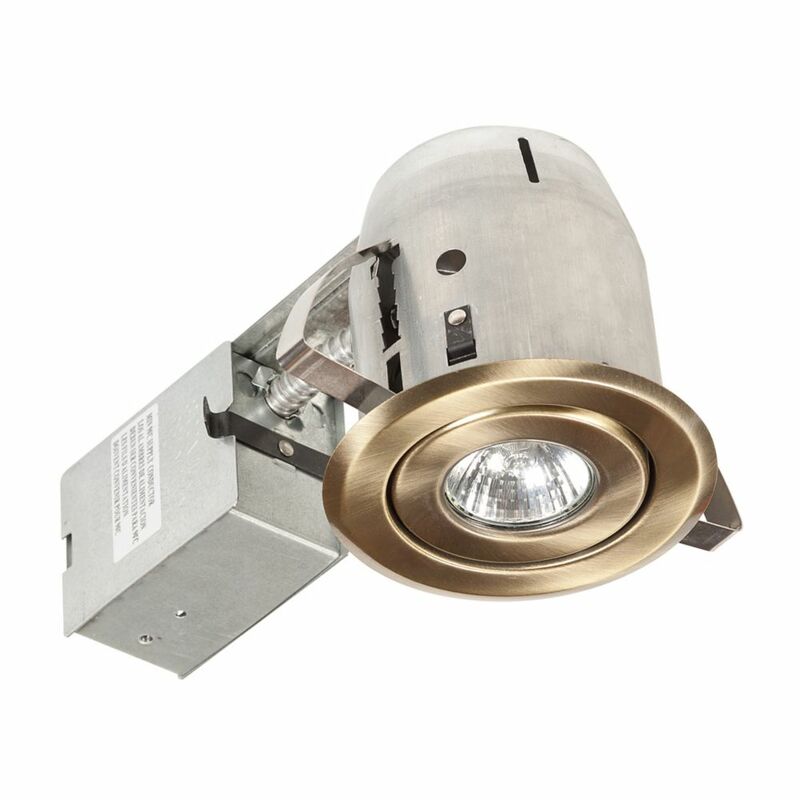 The Commercial Electric 3-inch Recessed Light Kit (4-Pack) includes a IC remodel housing and White Trim that gives GU10/50 Watt equivalent light output with 8.6 Watt energy consumption - 83% energy consumption saving. It is compatible for use with a dimmer switch for different illumination needs and increased energy saving. ENERGY STAR certified airtight construction meets California Title 24 requirement. Rated for use in wet locations which makes it applicable for use in showers and in exterior applications. 90014 4 Inch Swivel Recessed Lighting Kit, Antique Brass Finish Globe Electric 90014 4 Inch Swivel Recessed Lighting Kit, Antique Brass Finish. Adjustable swivel feature to direct light where needed based on your desired preference. Full kit including: trim, housing/can, patented clip system and electrical box. Quick and Easy Installation: includes extra-wide, patented clips that grip uneven holes and surfaces to secure effortlessly into position. Superior fit for a smarter, faster installation. Creates mood lighting and dramatic effects to highlight decorative elements, ideal for use in living rooms, bedrooms and dining rooms. Requires one MR16 GU10 Base 50W bulb (sold separately). 5 year limited product warranty. 90014 4 Inch Swivel Recessed Lighting Kit, Antique Brass Finish is rated 5.0 out of 5 by 1.